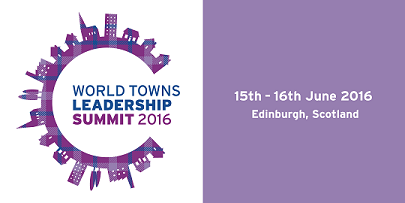 International town and urban leaders came together for a world first, that took place in Scotland in June 2016. 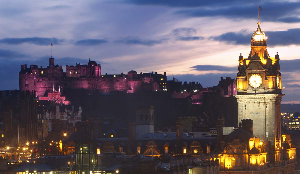 Organised by ATCM, BIDs Scotland, IDA and Scotland’s Towns Partnership, the World Towns Leadership Summit discussed the evolving nature of civic governance and the changing economic drivers for successful place-making. Across the world, the State is shrinking. Urgent action is essential if we are to make our places better. What are the new alliances and approaches we need to develop to achieve a strong competitive economy combined with a fairer, more equal society? Discussing this was the Cabinet Secretary for Communities, Social Security and Equality, Anegla Constance MSP, leading on what a fairer Scotland should look like in 2030 and how to make this vision a reality. We also heared from a range of internationally recognised leaders and thinkers including, Bulelwa Makalima-Ngewana, CEO, The Cape Town Partnership, Tina Saaby, Copenhagen’s City Architect, international economist Michael Shuman and Michael Smith, Chair of the International Downtown Association. An anchor of the Summit was the final shaping of a World Towns Framework: A Public-Private-Social Vision for Urban Centres. The purpose of the Framework is to; articulate the narrative of towns, neighbourhoods and city districts in responding to contemporary urban challenges; shape a new urban agenda for these urban places; assert the need for new alliances and approaches essential for a strong competitive economy combined with a fairer, more equal society. This call to action is now vital. Towns are a key element of global urban infrastructure. At the scale of nations, they are nodes of labour force, distinct local production and tourism. Towns, while distinct from entire cities, share many traits with urban neighbourhoods outside the city centre. Across regions, networks of towns connect people and infrastructure at scale. Towns and neighbourhoods matter to the transformation of modern economies, promising value; blending local and global opportunities. But, the town narrative is less well articulated than cities. Towns suffer. Transformation is stalled. The promise of a networked urban system, with choices, to support an increasingly diverse society is not met with the support and investment to deliver the reality. Towns are dealing with social migration at a scale previously even unknown to cities; the supporting infrastructure is not there and the response has been chaotic. Amongst the challenge lies opportunity. Across the world, towns and neighbourhoods are in this struggle. They are the largest scale for community, and the smallest scale for urbanity.